If you want to re-decorate your home so your décor is beautiful and elegant, but don’t want to break the bank, you’ll want to keep reading. The best way to enhance you’re home without doing a complete overhaul is with proper lighting. In this post, we’ll show you how Hudson Valley pendants and Hudson Valley sconces can add sparkle and style to any room, or hallway. If you’re looking for great ideas to decorate your home that are inexpensive but elegant, you’ve come to the right place. One of the perfect ways to enhance your home’s décor is with your lighting choices. Below, we’re going to look at Hudson Valley Pendants and Hudson Valley Sconces to see what they can add to any room or hallway. When you hear the word pendant, you probably envision a necklace with a gem resting on the chest of the wearer, and of course, you’re right. A Lighting pendant is a fixture that hangs from the ceiling. The light is suspended by a chain, cord, or metal rod, creating natural and elegant charm. Thus, the light acts as the gem. These types of light are often hung in multiples over dinette sets or kitchen countertops, and in bathrooms. There are many lighting companies with a pendant line in their collections, so what makes Hudson Valley Pendants stand out? This company’s pendant line is exceptionally versatile. Depending on your style, you can find what you’re looking for. Their pendant collection ranges from conservative to traditional, as well as from traditional to contemporary. Whether you’ve spent exorbitant amounts of money buying designer furniture for your home or making sure the wall colors are just right, if you don’t have proper lighting in your home, your efforts will have been in vain. Any interior designer will tell you that proper lighting is one of the most important factors to good home décor. If you don’t have proper lighting, the colors in your home will appear dull and drab, and no one will notice all the time, money, and energy you’ve spent on designing the perfect space. Hudson Valley sconces are designed for a variety of spaces and home décor needs, so you can light up your home with elegance and style. 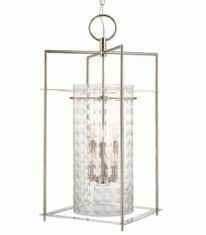 Whether you need to add sconces to light your hallways or bathrooms, these well-crafted, beautiful, and simple sconces will fit any room’s lighting needs. We’ve all seen it before : the over-the-top, garishly decorated home, victim to owners who have to jump on every new décor trend, no matter how crazy, how ill-suited to the home, or how poorly thought-out. Jumping on decor fads just because they’re in without making sure they’re right for you is sure to result in a home that doesn’t feel comfortable or cohesive. And then there’s the home that was once tastefully on-trend, but has fallen out of style and is in desperate need of an update. Then there’s the complete opposite: the bland, conservative home packed with play-it-safe decor and statement-free furniture. Sure, it might not go out of style, but it’s not very exciting or inspiring to look at. These unsightly homes often run through a homeowner’s mind when picking out new lighting fixtures. Do you go trendy and risk it looking silly in a few years? Or do you skew traditional and fail to make a statement. When pondering this conundrum, start with a brand that offers a lot of variety, like Hudson Valley Pendants, to help you weigh out the pros and cons of each. The simple wall sconce is an often-overlooked piece of home decor, one that often doesn’t get the credit it deserves. While they don’t command the space of something larger, like a chandelier, they often perform an important role in a space’s look and aesthetic. With the right collection of sconces, you can elevate a space’s decor and tie an overall aesthetic together; all it takes is the right piece. Hudson Valley sconces may just be the perfect decor solution for your home and office. Here are a few reasons why many people turn to Hudson Valley for their lighting needs. Lighting is one of the most important parts of any room. You’ve seen the difference it can make. It’s the reason why a kitchen looks less inviting under harsh florescent lighting than it does under the soft lighting of a pendant lamp. It’s also the reason why basements tend not to make prime living area—the smaller windows and often sparse lighting setups keep it dark and completely lacking in vibrancy. One great way to light a room while adding a decorative flare is to add sconce lighting. Sconce lighting is a great way to highlight specific features or decor in a room, such as a fireplace, a mirror, or a prized painting. A well-chosen sconce can add to the look of a room, especially with a brand like Hudson Valley Sconces that offers a broad selection to suit almost any style. The right lighting can dramatically change the look of any room in your home. Whether you are looking to add a bit of drama to your foyer, elegance to your dining room, or just to liven up your family room, there is a Hudson Valley pendant that would fit beautifully into your home. No matter what your style or decor, these fixtures come in a wide variety of shapes and sizes, and each design is breathtaking. If you are looking for a truly unique fixture for your home, Hudson Valley has a pendant that is sure to please. Pendants are an excellent way to elevate the decor of any room, all while giving you extra needed lighting. Many people are starting to hang them all over their homes. At Crescent Harbor, we’re proud to sell Hudson Valley pendants. Made with superior craftsmanship, these pendants can be used almost anywhere. Here are a few tips on how to get the most from your Hudson Valley pendants.